Community Action Norfolk is hosting a series of discussion events, on behalf of the Rural Development Strategy steering group, looking at economic development in Norfolk's rural communities. Thursday 14th March is Social Prescribing Day! Thursday 14th March is Social Prescribing Day, when people across the country are being encouraged to think about finding health solutions in their communities. When the National Health Service began in 1948, the UK population was 49.4 million. 70 years later the population stands at an estimated 66.5 million, an increase of more than 34%. People are living longer. Many are living with long term conditions such as diabetes and heart disease or suffer with mental health issues and may need to access their local health services more often. Two of our team, Tonya and Susanne, are Community and Voluntary Sector Co-ordinators working with the Supported Care Teams in North and South Norfolk. 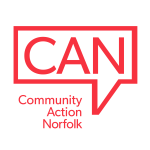 CAN was commissioned by Macmillan Cancer Support to find out what support and information is available for people aged 60+ and their carers and families in Norfolk and Waveney’s rural communities. It’s important that people with life-limiting or progressive illness, and who have just left hospital to return home, feel supported. A busy world can be the loneliest place. And in a county of nearly 860,000 residents across 2,000 square miles it’s an everyday scenario for many people.